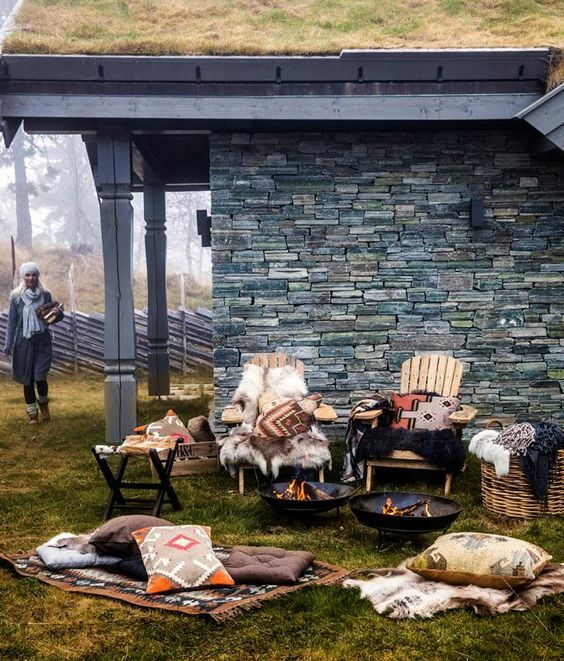 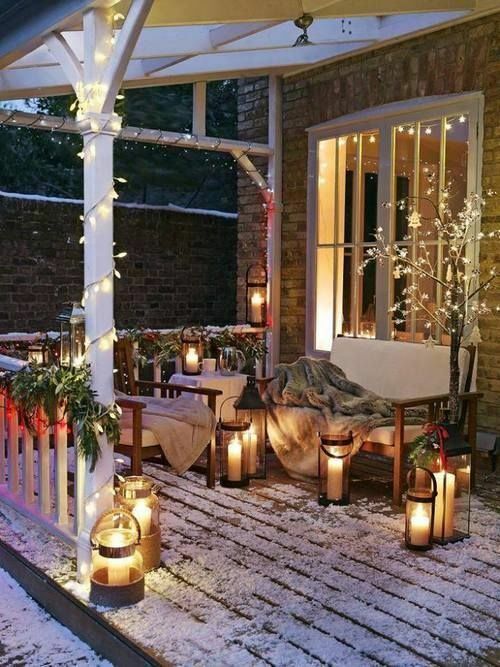 Staying outdoors is relaxing, even in winter when it’s chilly, the main point is to decorate your outdoor space with some items that will make staying there cozy and comfortable. 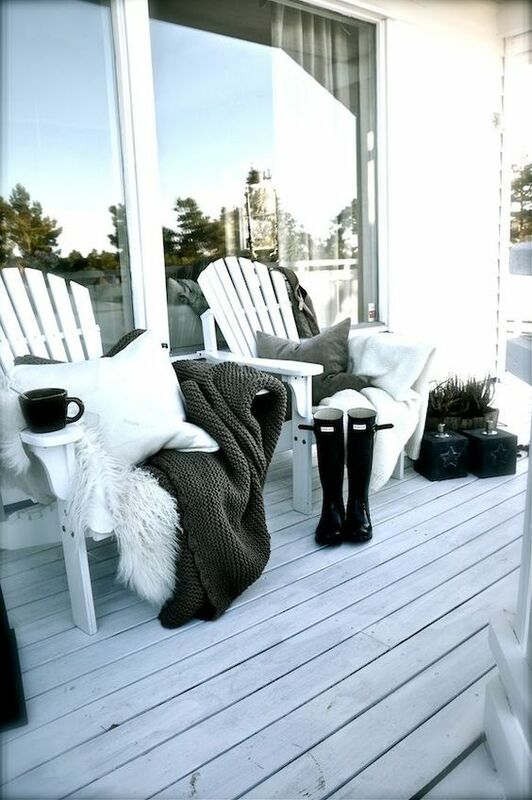 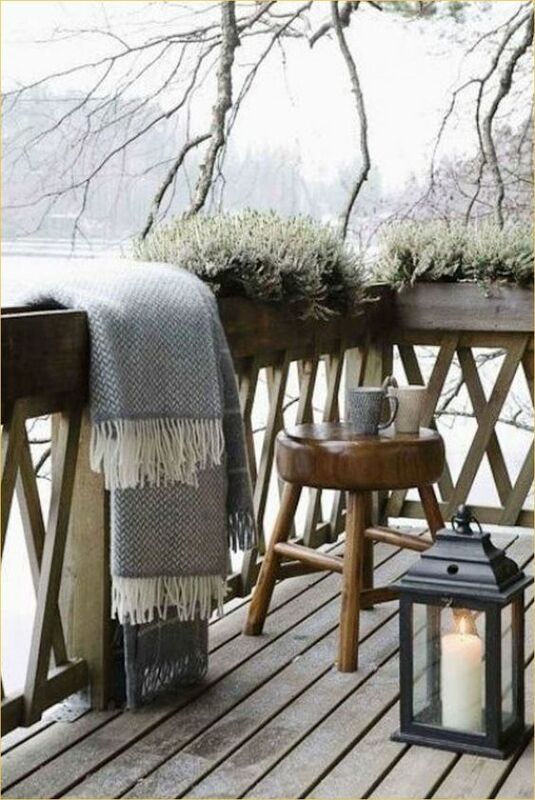 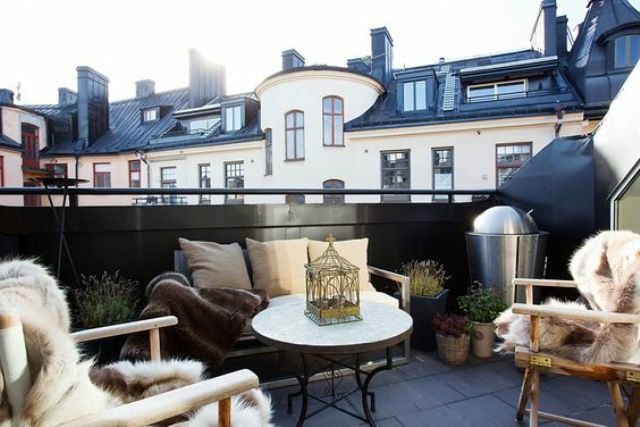 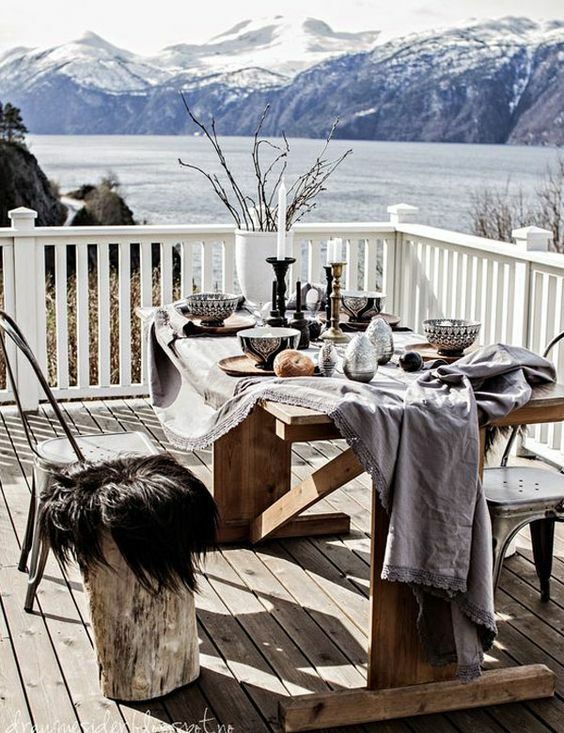 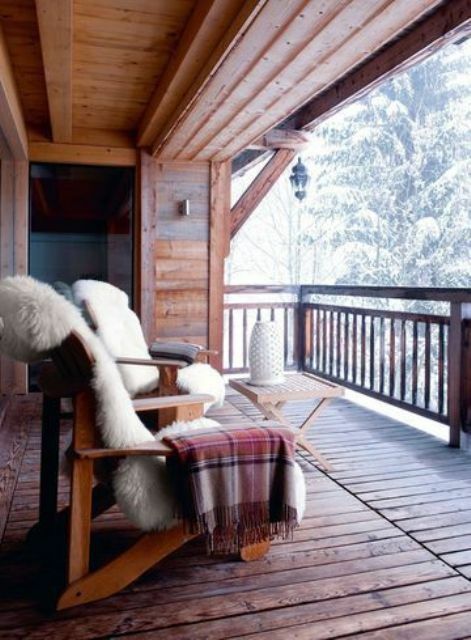 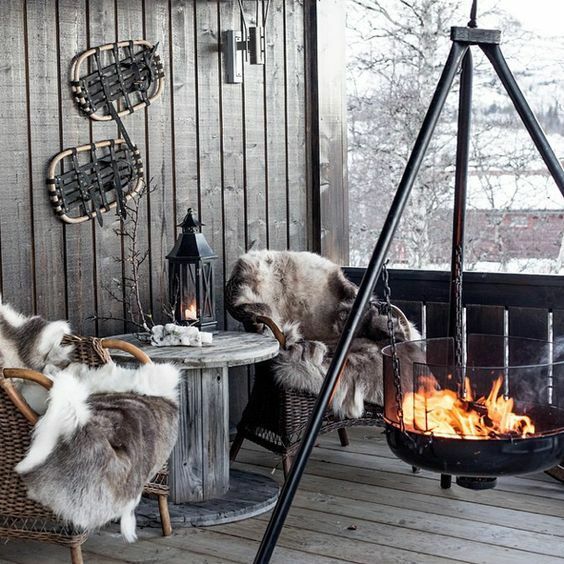 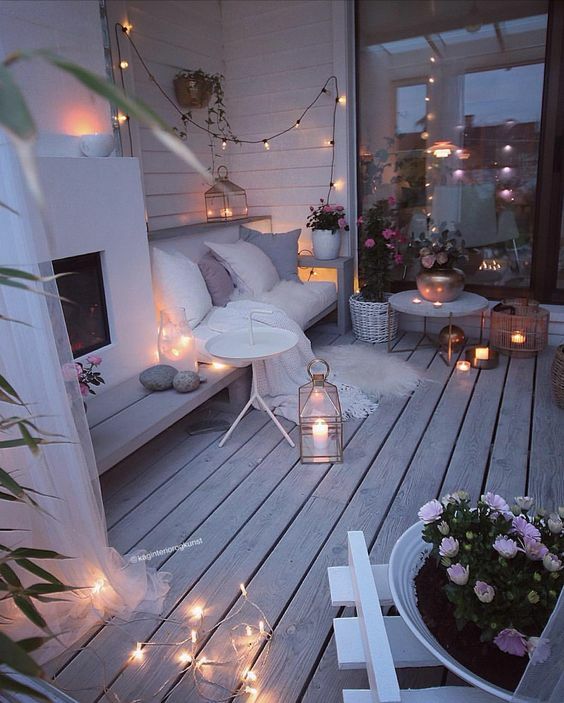 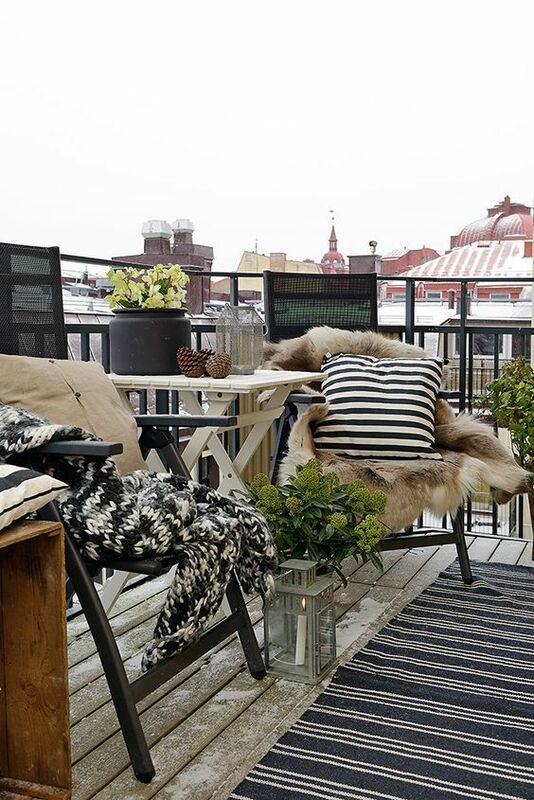 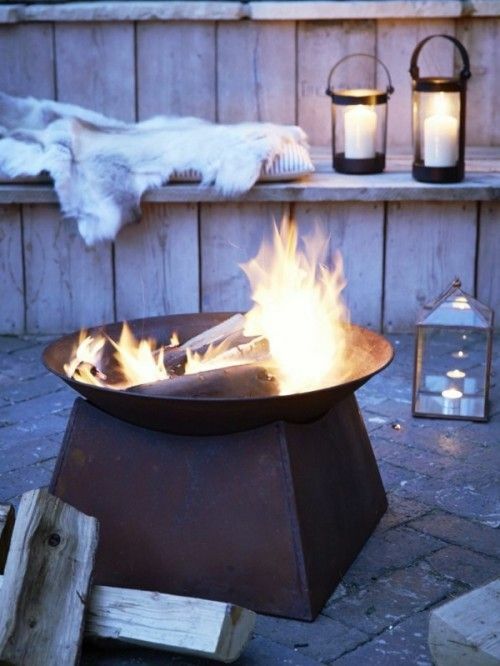 How to cozy up your terrace or balcony for winter? 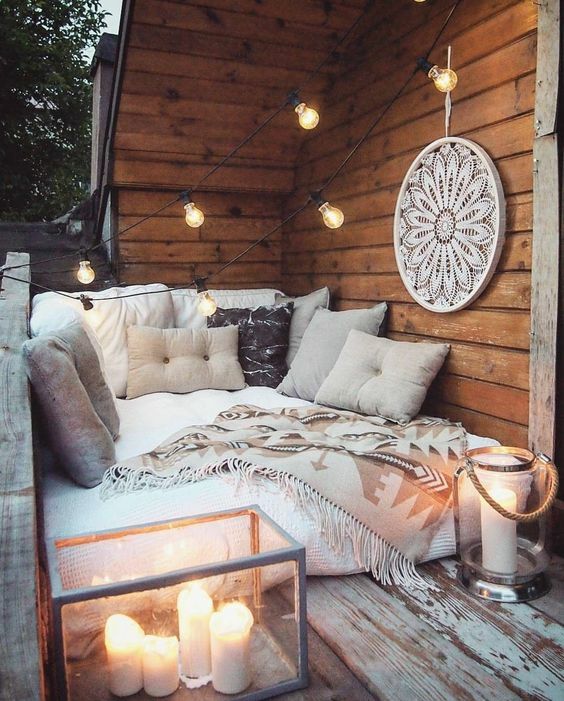 Let’s take a look at some ideas! 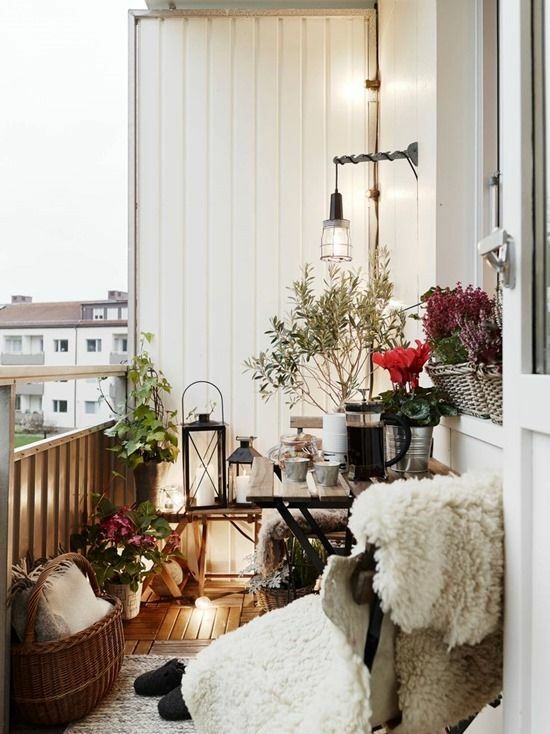 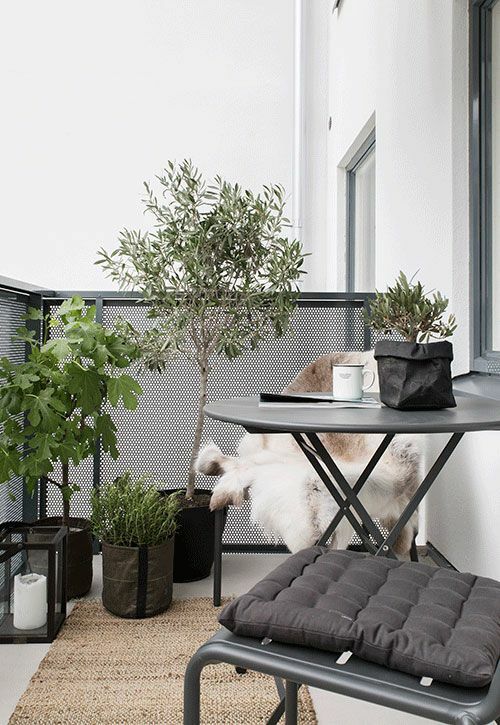 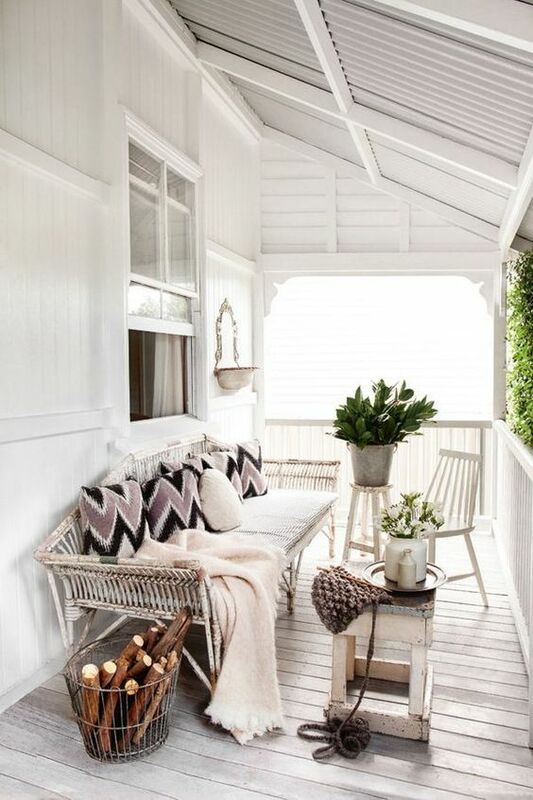 A balcony is usually a small space that still requires some furniture and decor. 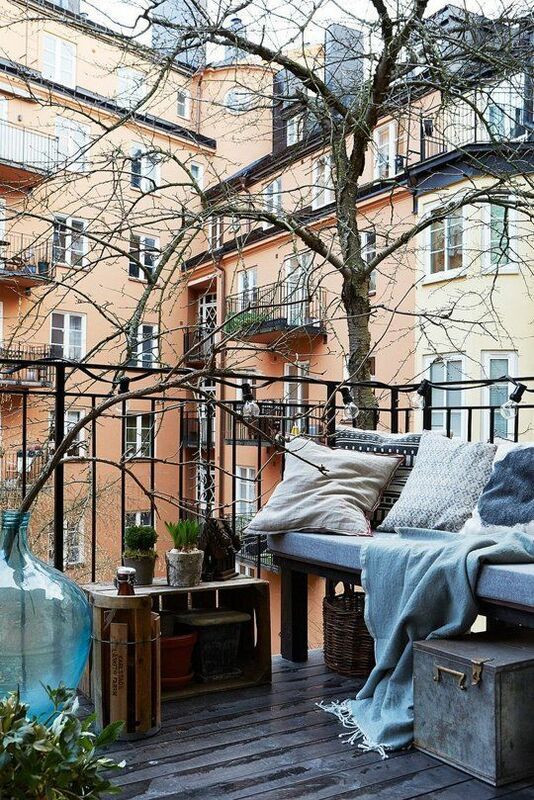 What to squeeze in there? 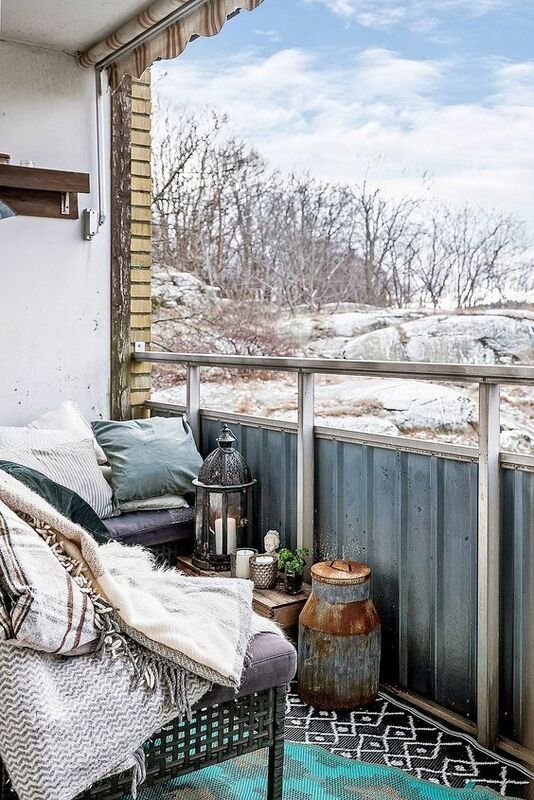 Consider the size of your balcony and decorate it with a coffee or side table, a chair or a stool or two, take a look at functional sofas and chairs with storage spaces integrated. 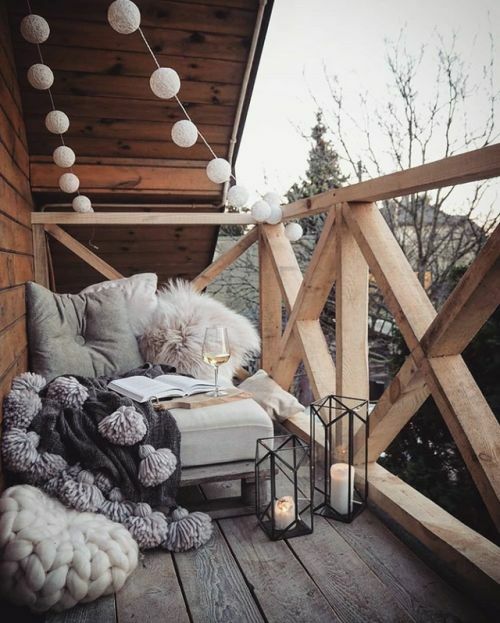 Cover your chairs or other seats with pillows and throws and blankets, prefer flannel, faux fur and knit items to cozy up the space. 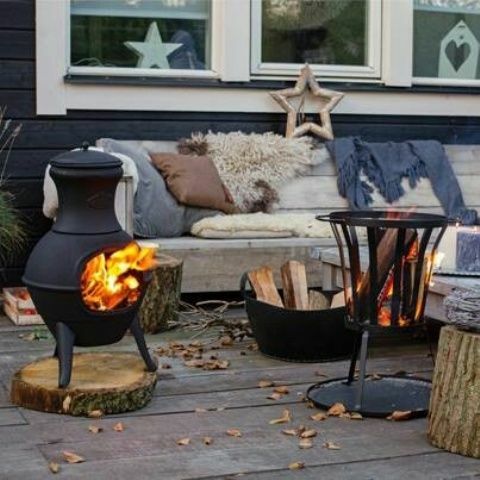 Lights and candle lanterns will illuminate the space perfectly, and a portable fireplace is a great idea if it fits in size. 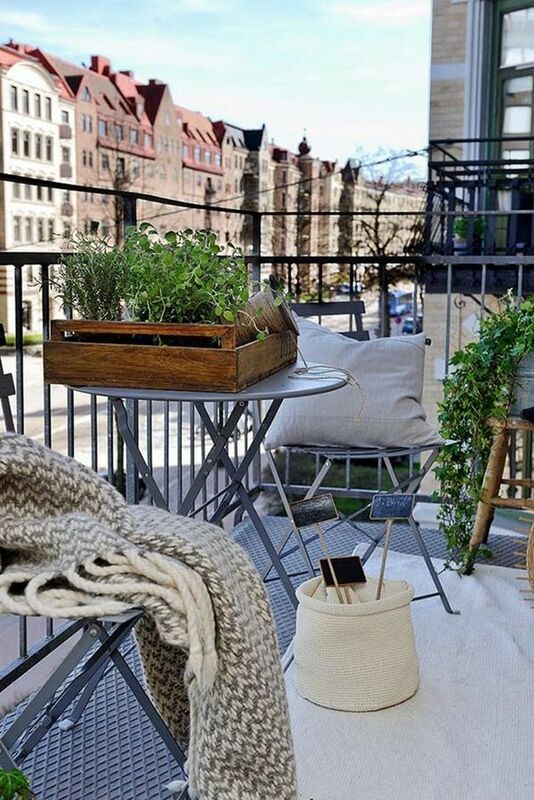 Add rugs to make the balcony cozy, prefer some thick and cool items to make your space comfortable. 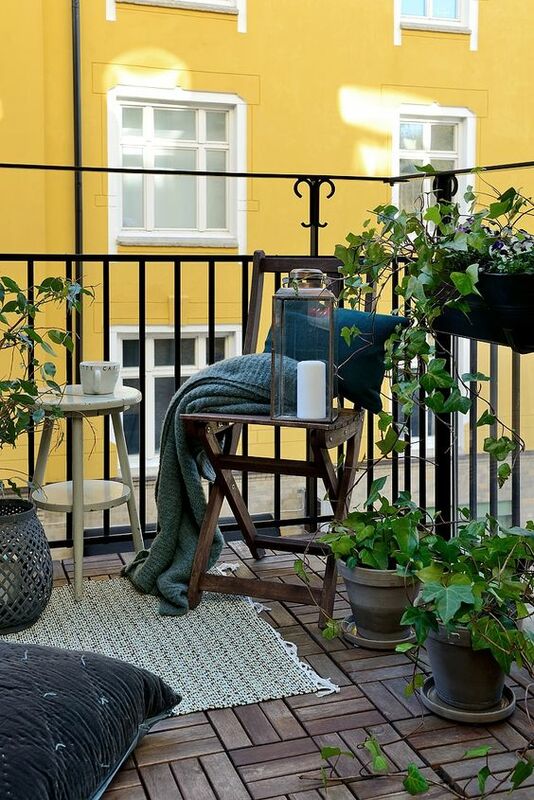 A terrace may fit more furniture and you may choose whether you want an outdoor living room or an outdoor dining room or both. 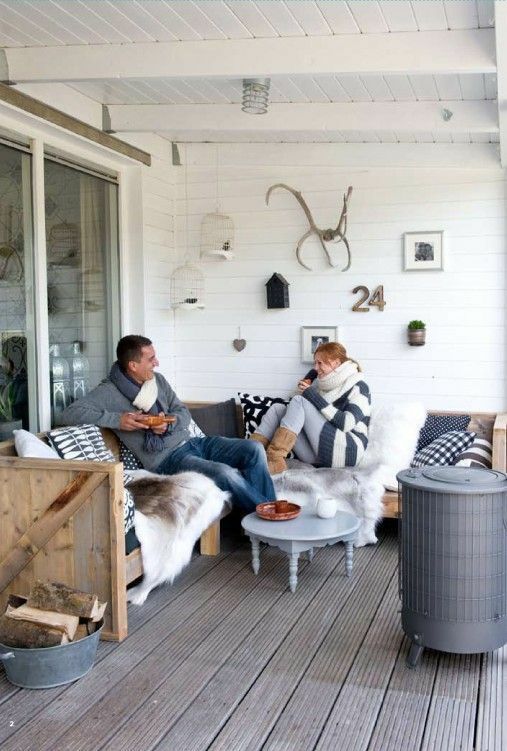 Consider furniture that fits your style: wooden benches or chairs, upholstered sofas or loungers, large or smaller tables, comfortable chairs. 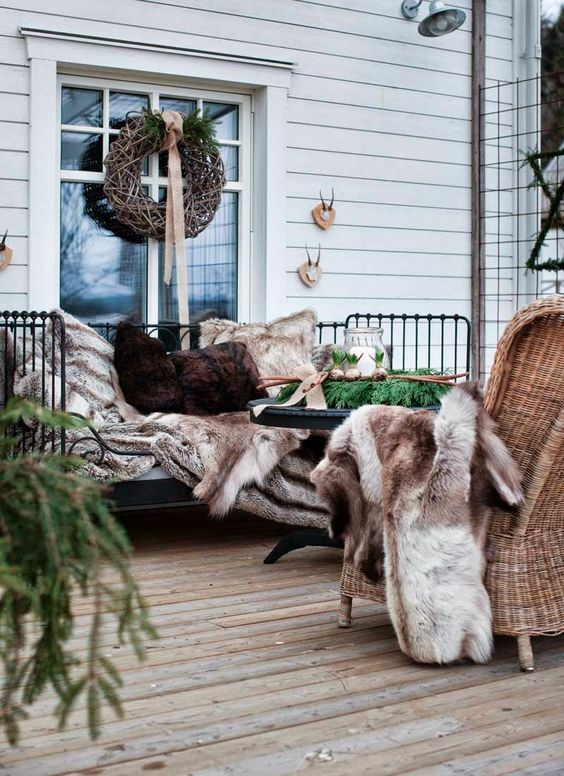 Now that you’ve decided on the furniture, cover it all with faux fur, knit throws, pillows to make the terrace welcoming. 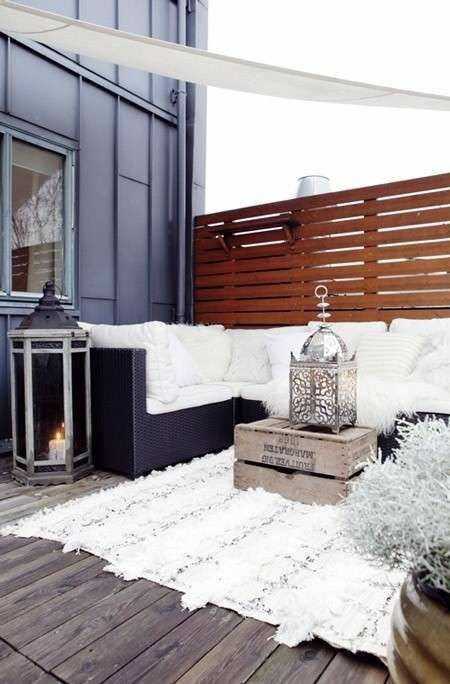 A terrace can and should have a fireplace or a fire bowl in winter, it will create a mood and an ambience, and if your terrace is large, you may incorporate even two. 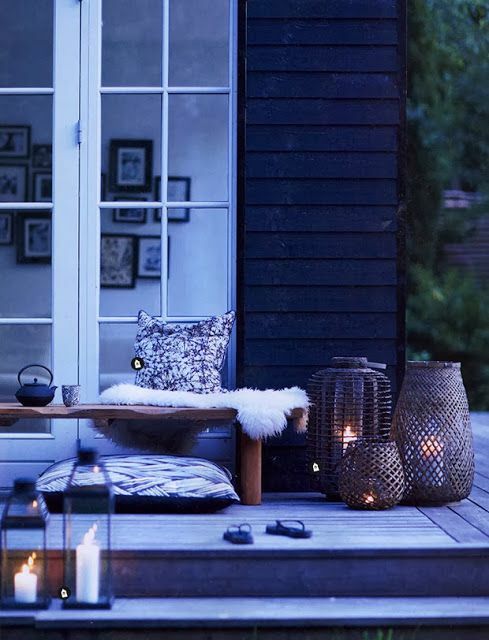 Don’t forget of multiple candle lanterns to illuminate your gorgeous space. 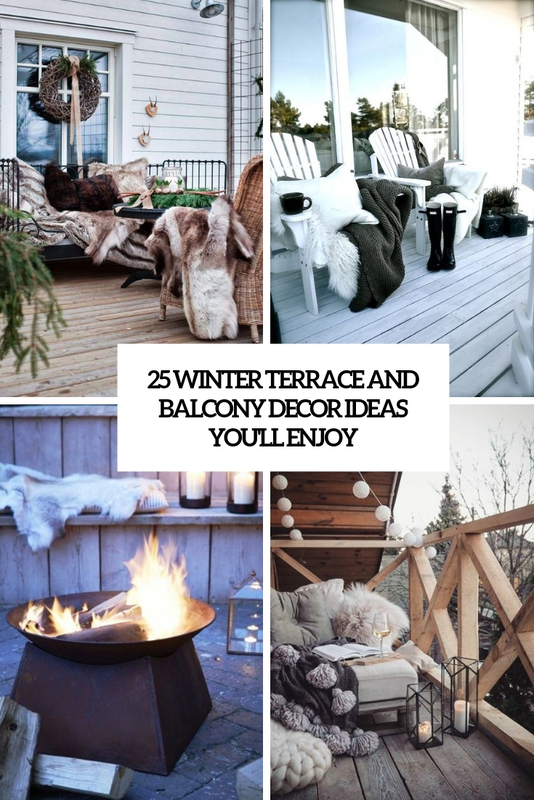 Take a look at the inspiring ideas we’ve prepared for you!